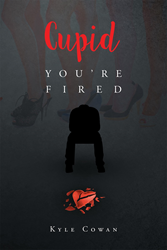 Recent release “Cupid, You’re Fired” from Page Publishing author Kyle Cowan is a detailed account of the author’s many misadventures in love while also being a critical examination of what it is that women truly desire in men. Kyle Cowan, a devoted author and self-proclaimed “Mr. Right”, has completed his new book “Cupid, You’re Fired”: an addictive autobiography of how even the quintessential “nice guy” can be disastrously unlucky in love. Published by New York City-based Page Publishing, Kyle Cowan’s unfortunate tale thrusts the reader into his shoes as he accounts for a lifetime of ill-fated love stories and begs the question of why. After all, he has made every effort to fulfill the wish list that women advertise in their “man wanted” ads. In each earnest attempt at a serious relationship, Cowan treats each woman with kindness and respect, being careful to avoid the usual relationship pitfalls of dishonesty and lack of security. In spite of all of his efforts, the train-wreck ensues and the underdog is left to dust himself off, heal, then continue his relentless pursuit of true love. Readers who wish to experience this revealing work can purchase “Cupid, You’re Fired” at bookstores everywhere, or online at the Apple iTunes store, Amazon, Google Play or Barnes and Noble.